" Great comfort.....Doesn't redo my hair during the night! Can watch TV in bed without crossing my eyes around the nose piece.........Love the XS fit........ "
" I am a stomach sleeper with a goose down pillow. This is the BEST mask I have ever used. No straps on my hair! " 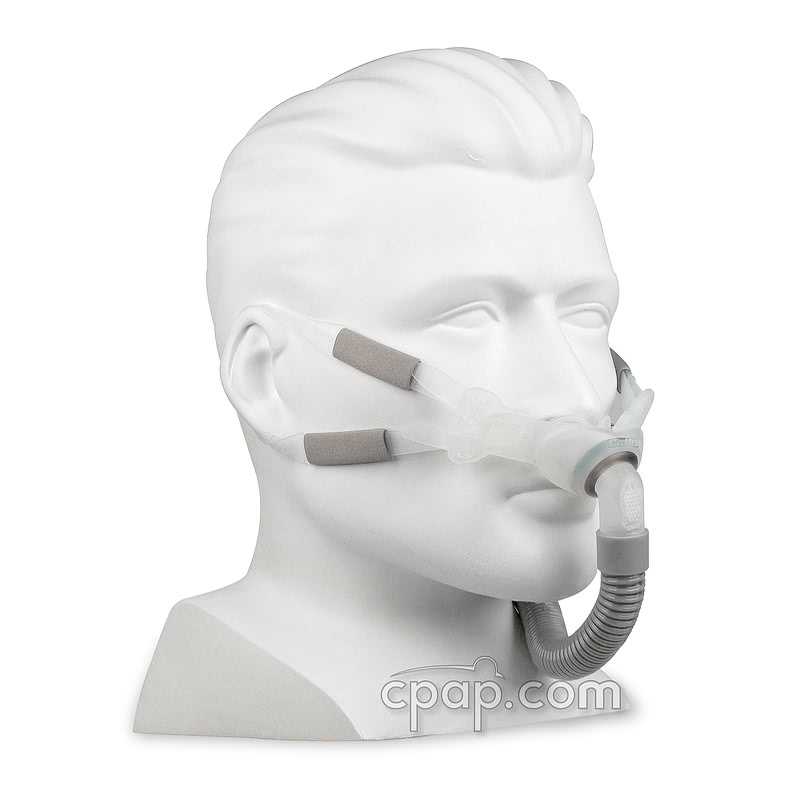 Innovative Bella Loops make the Swift™ FX Bella Nasal Pillow CPAP Mask with Headgears by ResMed an excellent alternative to the original Swift™ FX Nasal Pillow CPAP Mask. Packaged with an updated version of the soft silicone Swift FX headgear and the breakthrough ear loops plus three sizes of nasal pillows, the Bella has options other systems cannot match. Select Pink or Gray headgear. 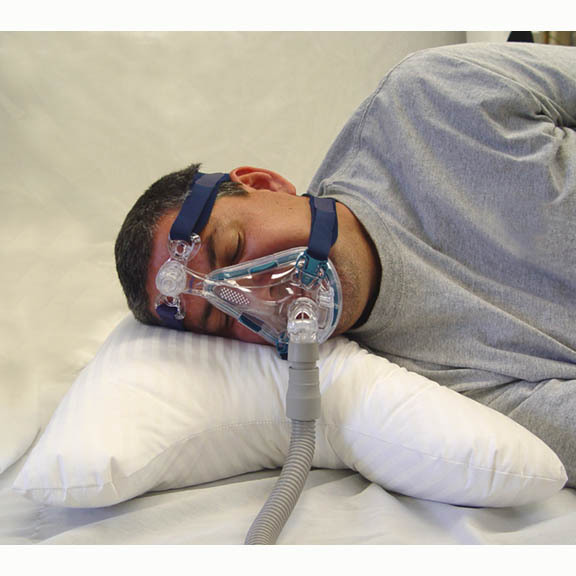 17% of Nasal Pillow product buyers choose this product. 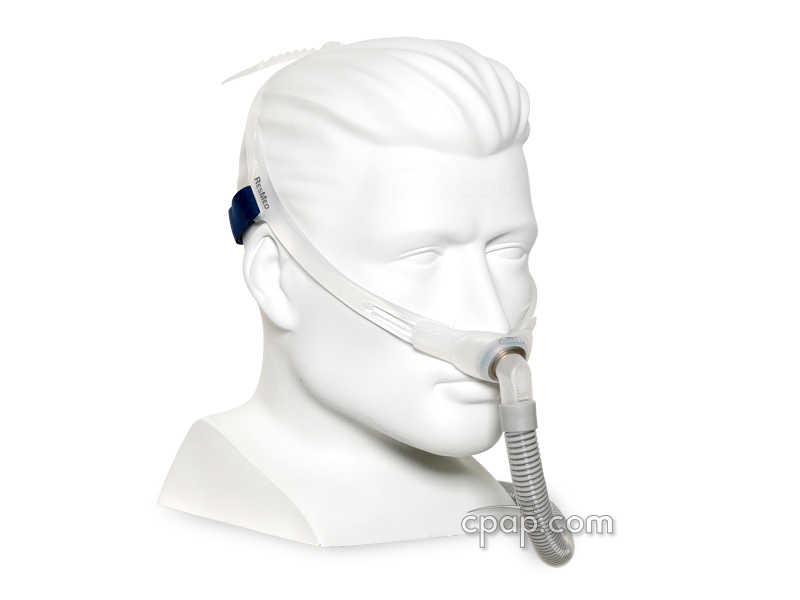 The Swift™ FX Bella Nasal Pillow CPAP Mask with Headgears comes packaged with two unique headgear options and is available in two colors. 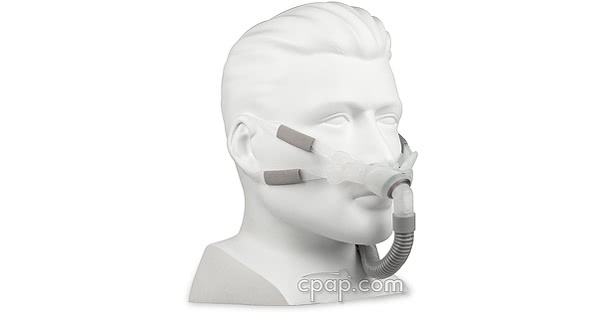 ResMed responded to patient needs by offering a headgear option that loops around the ears rather than crossing the back of the head. The Bella comes packaged with three sizes of nasal pillows. 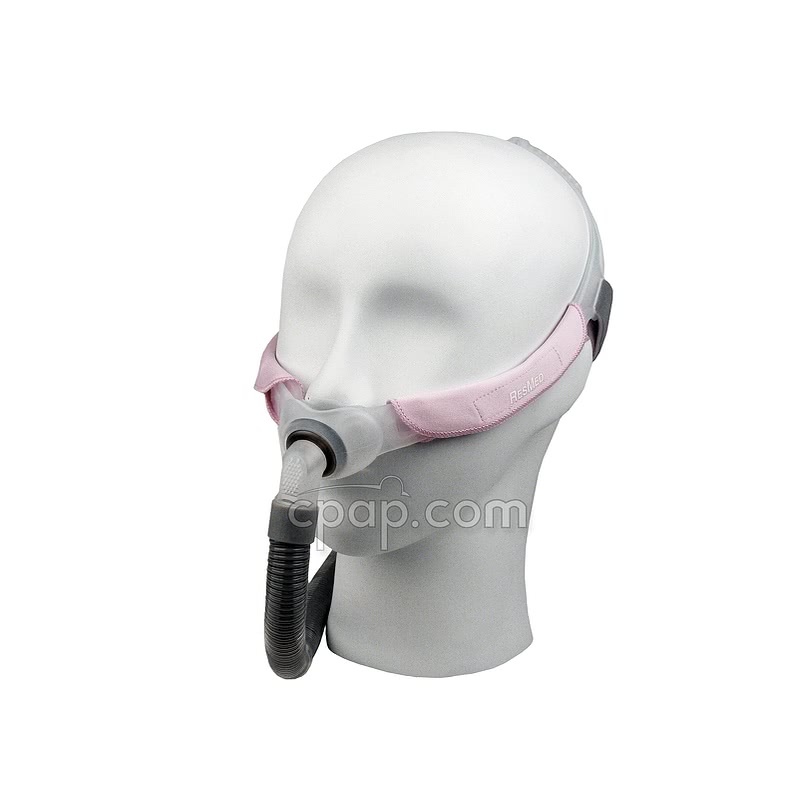 The Pink headgear includes the Extra Small, Small and Medium nasal pillow while the Gray headgear comes packaged with the Small, Medium and Large nasal pillows. Visit the ResMed Patient Selection Guide to see if the Swift FX Bella is a match for you! Important Note: Per the manufacturer of the Swift FX Bella Nasal Pillow, the short tube assembly of the Swift FX Nasal Pillow (elbow, short tube, and swivel) is NOT interchangeable with the Short Tube Assembly for Swift™ FX Nano. Although the two products appear similar there are differences between the two products. Do you have detached earlobes? If the answer to these questions is 'yes' then the Bella Loops may be suited to you. The Swift FX Bella does come packaged with two headgear styles, the Bella Loops and the Swift FX for Her Headgear Assembly, giving you options. The Swift FX for Her Bella headgear is a soft pink color with a light gray lining. The Soft Wraps are the soft pink color. The Bella 'around the ear' loops are included with the purchase of the Swift FX Bella. The original Swift FX for Her headgear is a bright pink color as are the Soft Wraps. 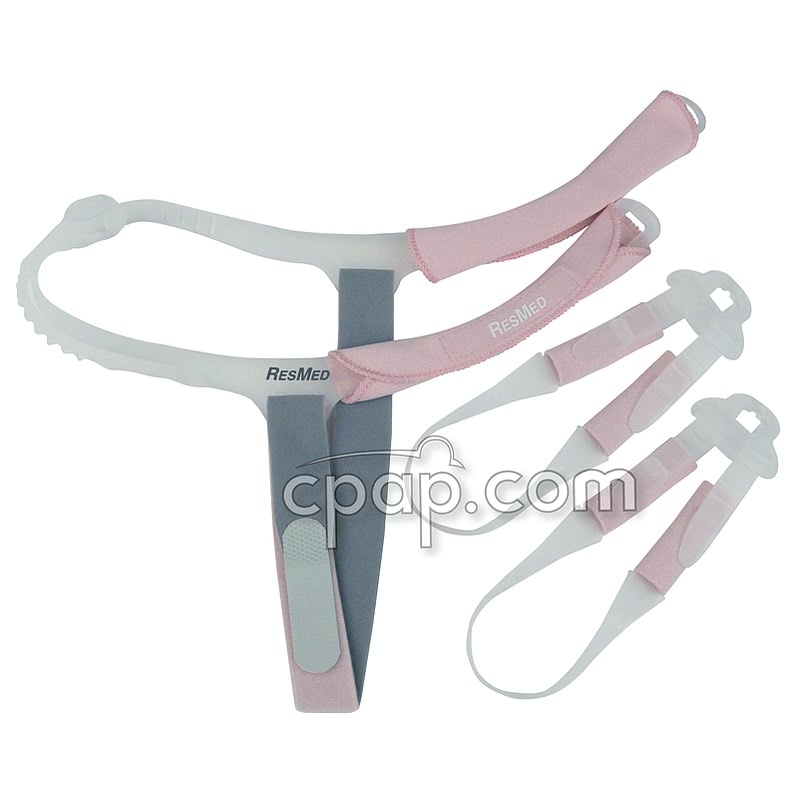 ResMed part number 61543 Silicone Headgear Assembly for Swift™ FX for Her currently comes packaged with the bright pink headgear strap and Soft Wraps as well as the soft blue headgear strap and light gray Soft Wraps. SnuggleCover for Short Tubes: The SnuggleHose Cover for Short Mask Tubes will fit the short tube of the Swift FX Bella. The size of the nasal pillow is indicated with a black letter located on the front of the nasal pillow. The letter is found on the right hand silicone flap of the nasal pillow, designed to connect to the headgear.